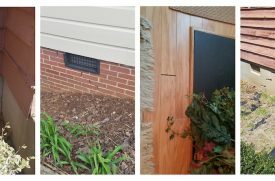 Much has changed in home construction over the past few decades, from smart HVAC systems to new building materials. However, one element of home construction has hardly changed at all: the use of concrete for foundations, slab floors, garage floors, driveways and patios. While concrete has no equal, it still remains susceptible to shifting, settling, and cracking. 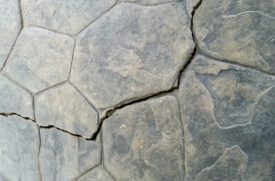 Fortunately, repair techniques to cracked or uneven concrete slabs have evolved—significantly. 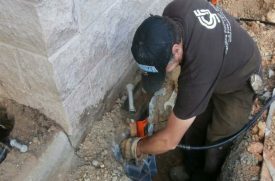 Gone are the days when cracks and settling within concrete mandated messy, invasive, time-consuming and costly repairs with traditional pressure grouting or slab jacking procedures. 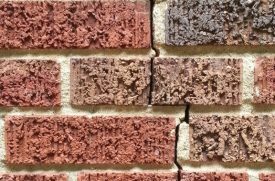 Today, polyurethane foam injections can fix concrete fractures and settlement with little hassle and at a fraction of the historical cost. Adapting techniques from other common applications, repairers make a series of small holes in the imbalanced flooring or cracks and inject them with polyurethane foam. Polyurethane foam is a two-component, high-strength hydro-sensitive structural polymer that can be used to fill voids and cracks and seal leaks. 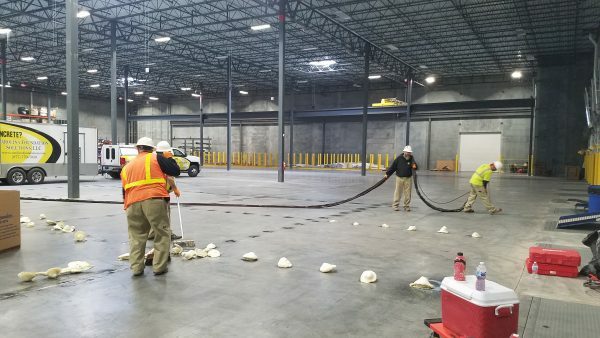 The foam can also be used to lift warehouse floors and commercial walkways. The material is lightweight but strong enough to support industrial weight as soon as forty-five minutes after application! Because it is a liquid, polyurethane foam flows into any gaps or voids in either the base of the concrete or the top of the soil. The foam consolidates loose and soft soils, a natural consequence of shifting earth and fluctuating moisture density. This solidified base prevents additional movement and can even lift the settled areas of the concrete slabs. 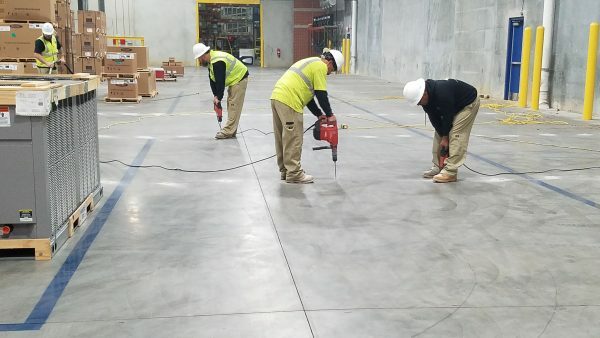 Polyurethane foam injection, essentially a type of pressure grouting, provides cost-effective repair solutions for cracks in house foundations or warehouse flooring. It requires small holes with diameters rarely larger than 5/8 of an inch, so the impact is minimal. Any excess foam that seeps out of the holes or seams is simply brushed away. The technicians at Carolina Foundation Solutions have seen plenty of changes over a century-plus of work experience in the foundation business. Legacy aside, the company uses the latest technology to address shifting and sinking foundations and flooring. Watching a video of a CFS commercial application of polyurethane foam injection demonstrates exactly how efficient and mess-free the operation is. After CFS sales technicians assess the problem and diagram the solution, company trained experts drill a series of small holes. A custom-designed injection gun connected to the supply of polyurethane foam is then placed in each hole. Then, foam is released until maximum pressure is determined. This procedure is repeated at each hole until coverage is complete. As the pressure mounts, a certain amount of foam will seep out of the holes or any seam in the flooring. This dry polymer foam is easily swept up with a push broom. After just 15 minutes, the floor can support large machinery, such as a fully loaded forklift or other commercial vehicles. Carolina Foundation Solutions residential repair work looks very similar to its commercial work, obviously on a smaller scale. 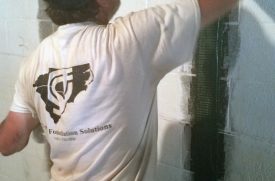 The polyurethane foam can be injected into wall cracks, as well as to flooring, driveways and patios. The foam seals cracks or spreads to solidify loose gravel and soils to prevent future heaving and potential eyesores—and even personal injury caused by tripping over an elevated seam. Concrete may not have changed greatly in the past century, but modern expert repair utilizing polyurethane foam has created a cost-effective, swift solution to cracks and imbalance in foundations, driveways, patios and other concrete surfaces.